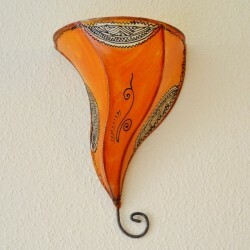 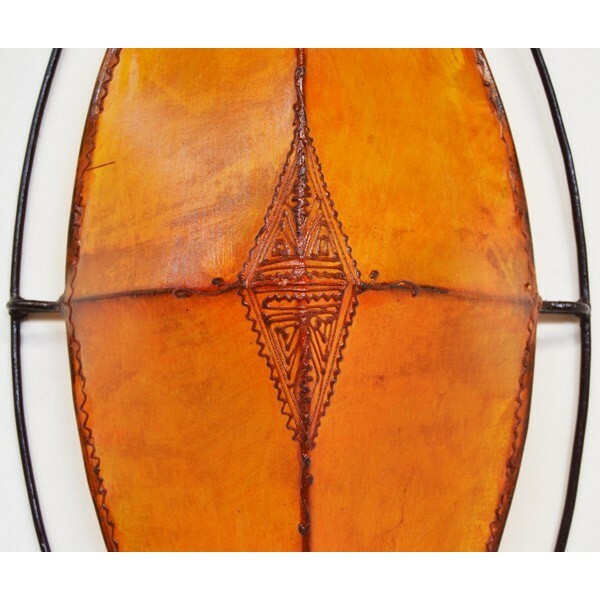 Zulu shield shape wall sconce of handpainted* natural leather** with african style. 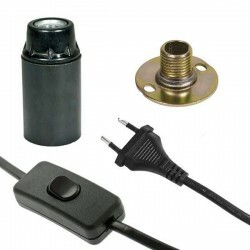 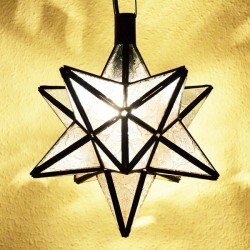 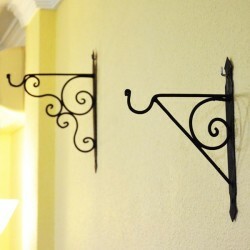 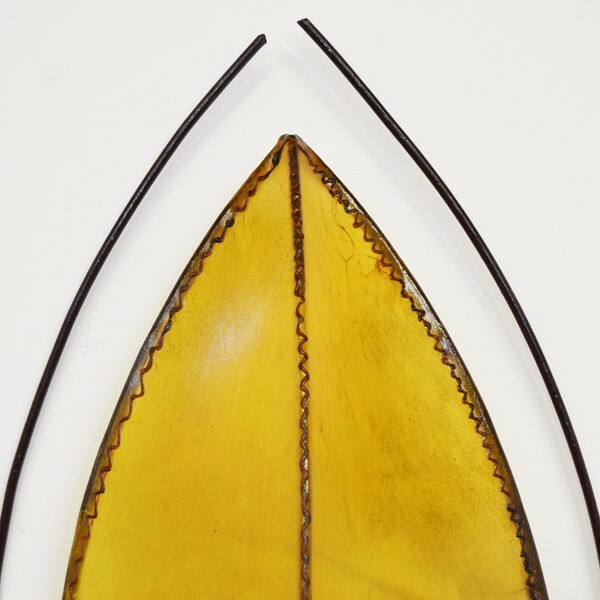 Incorporates TWO iron supports for two light spots. 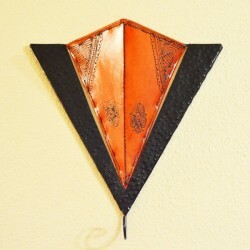 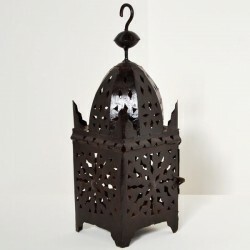 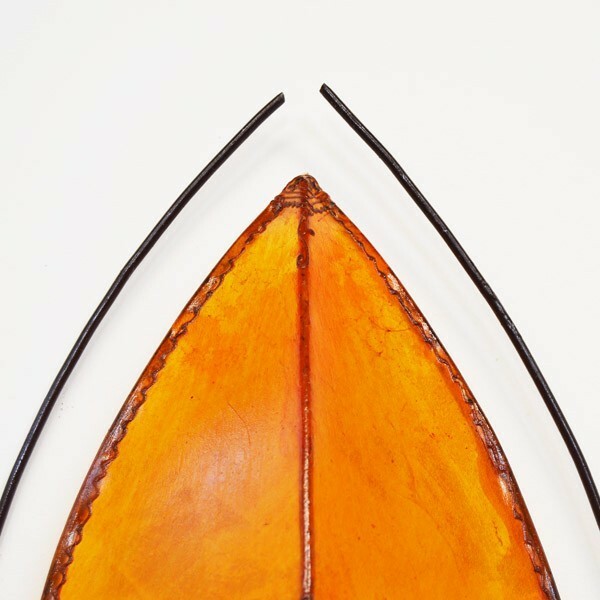 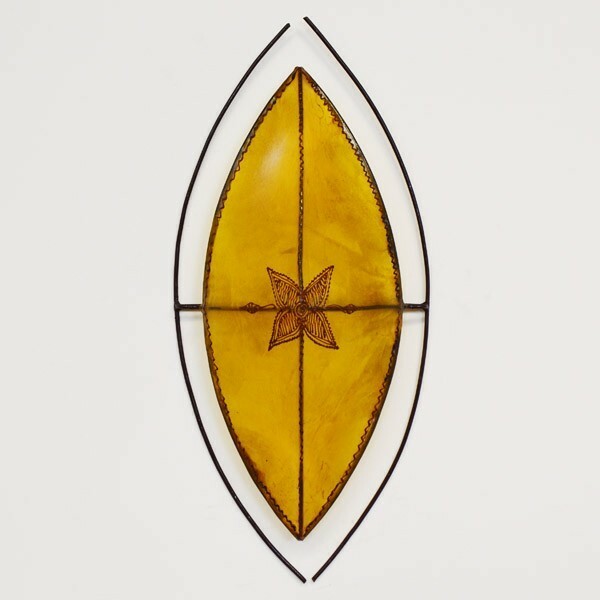 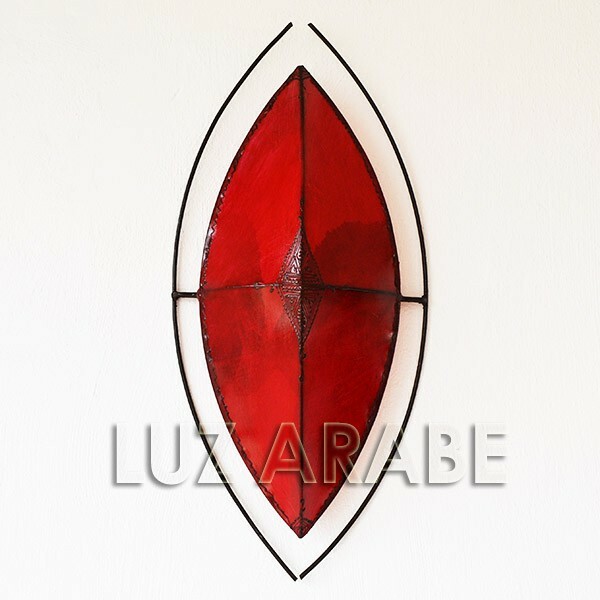 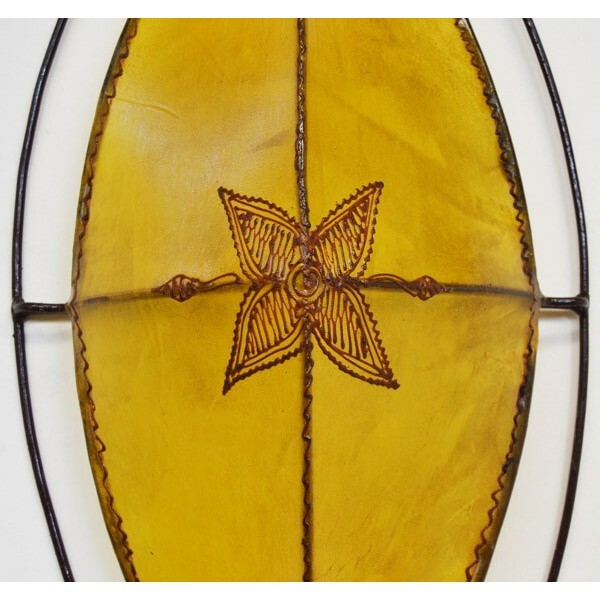 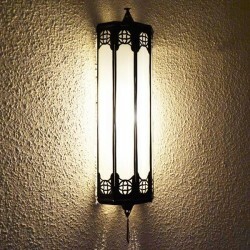 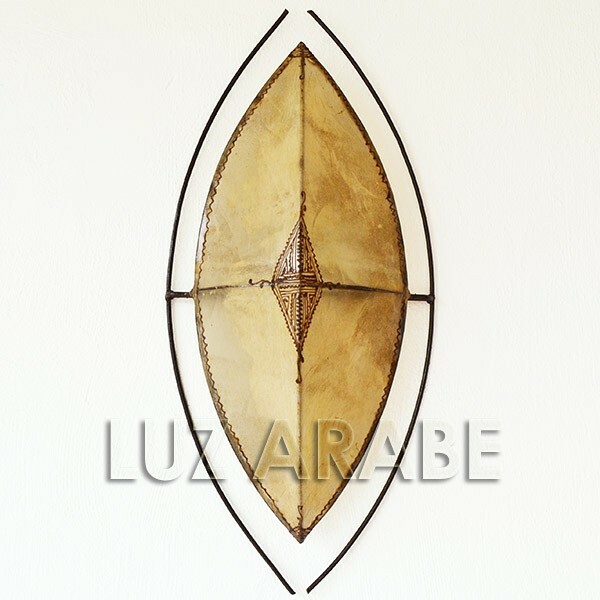 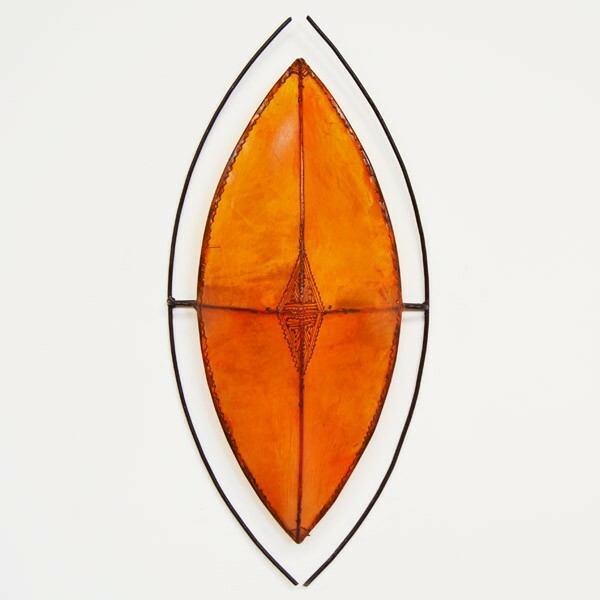 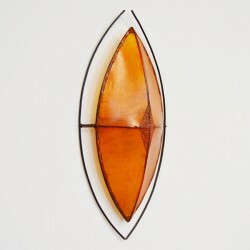 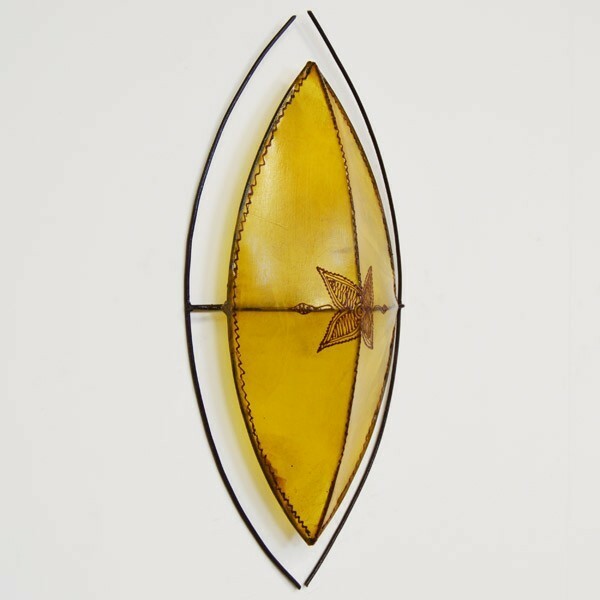 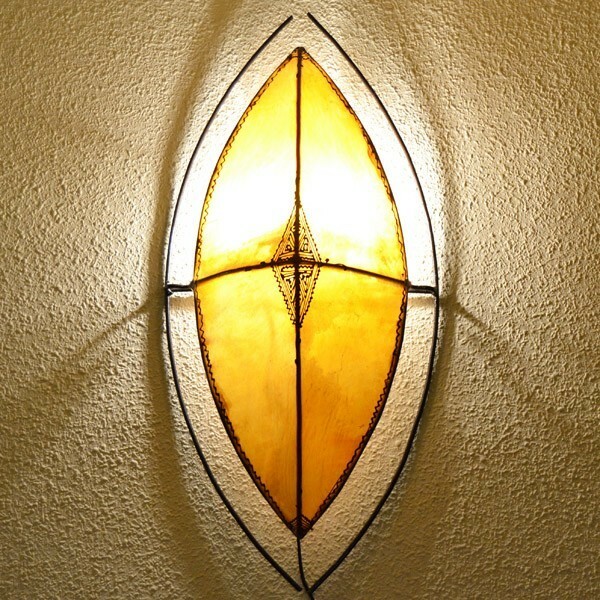 - handmade wall sconce of forge and Moroccan leather (Zulu shield shape).